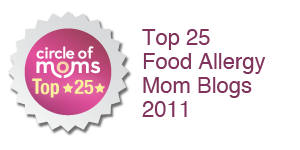 The Nut-Free Mom Blog: Food Allergy Awareness Week: Check Out FAAN's Guest Bloggers! 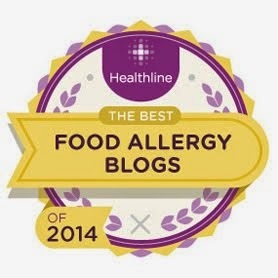 Food Allergy Awareness Week: Check Out FAAN's Guest Bloggers! Have you checked out FAAN's new blog? This week, in honor of Food Allergy Awareness Week, FAAN featured five bloggers who I am lucky to have met personally and/or communicated with online. Each of them shares their perspectives on living with food allergies, both from a parenting perspective and a personal one. 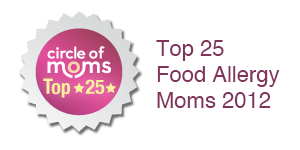 You'll even find yummy recipes from Kelly Rudnicki of Food Allergy Mama and cookbook author Cybele Pascale! You'll also hear from Sloane Miller of Allergic Girl, Gina Clowes of Allergy Moms and Jennifer B of Food Allergy Buzz. I enjoyed each entry and I think you will, too. I hope everyone has spread awareness in some way for FAAW and remember, it's something we do all year. So be proud of what you've accomplished in terms of educating your friends, family and communities about food allergies. Next week, I've got a new product review from Enjoy Life Foods. I can give you one hint: Chocolate! Happy Friday the 13th everybody!